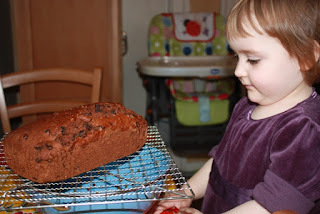 Here's a really easy tea brack recipe for Hallowe'en. 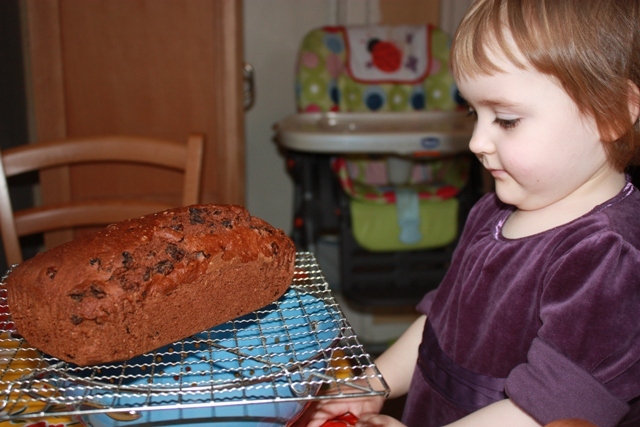 It's loaf-shaped, not round, and the brandy gives it a lovely rich flavour. You could use whiskey or just use 180ml of tea if you don't want alcohol in the cake. You can wrap a ring in greaseproof paper and bake it in the centre of the brack. Traditionally, the person who finds the ring in their slice of brack will be the next to marry. Eat plain or buttered with a cup of tea.